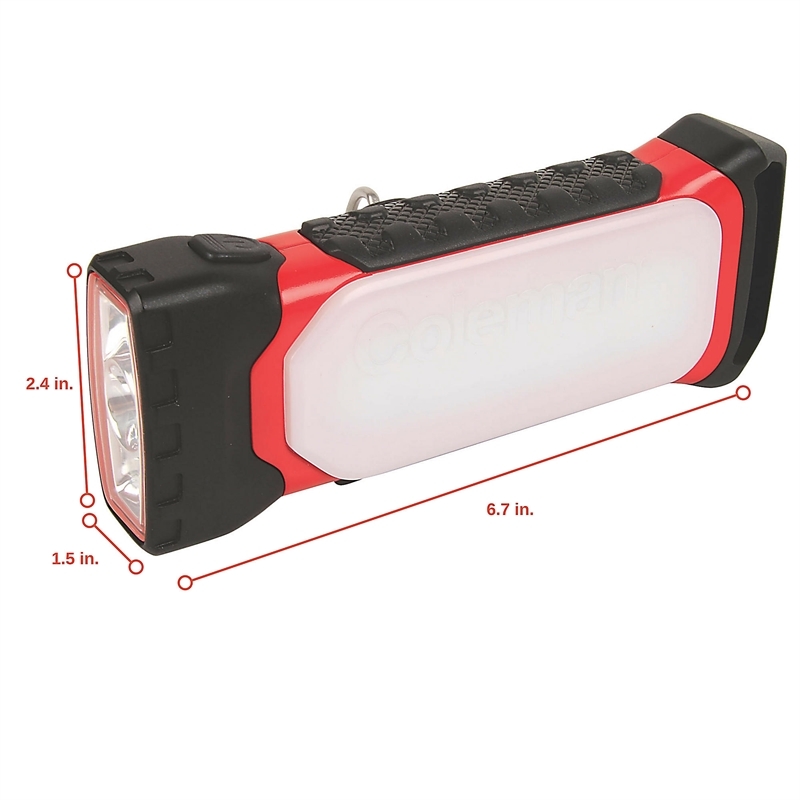 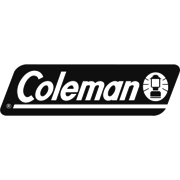 Always have a light ready with the versatile Coleman® 2-in-1 Utility Light. 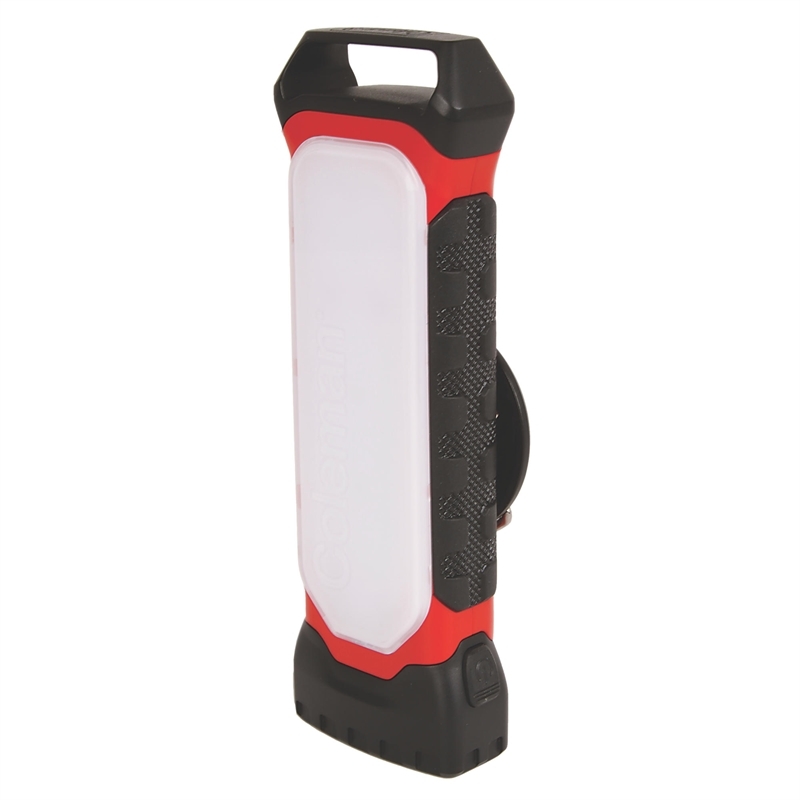 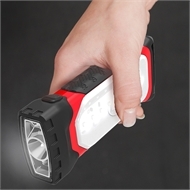 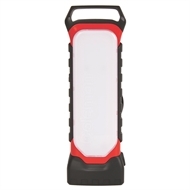 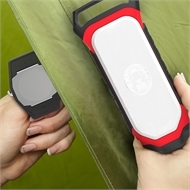 It combines the ease of a hands-free area light with the convenience of a handheld flashlight. 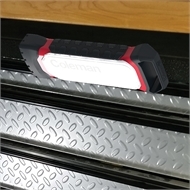 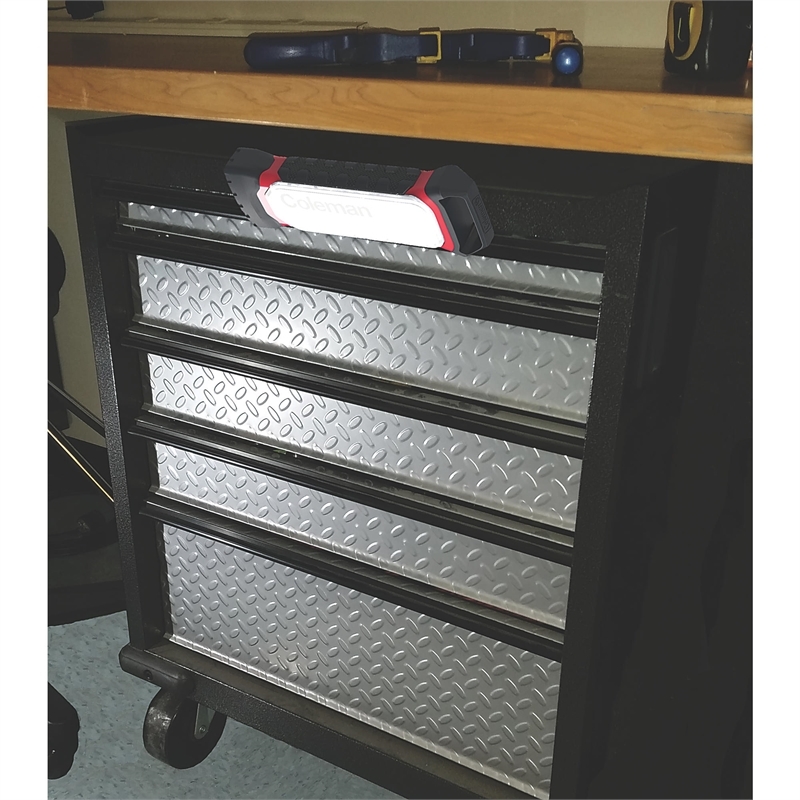 The magnetic system easily attaches to any steel item, such as your toolbox or underneath the hood of your car. 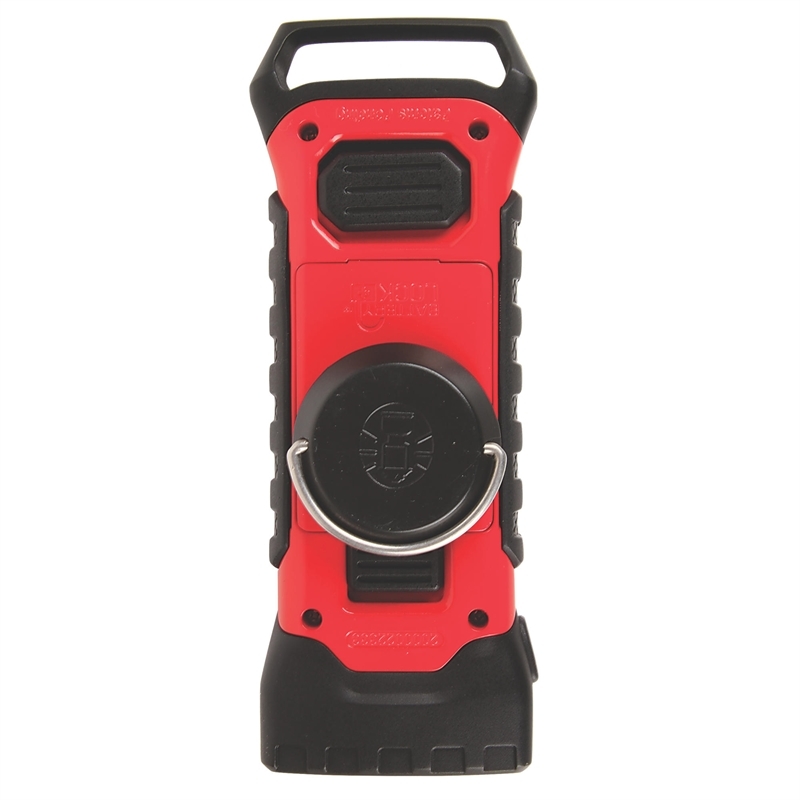 For situations where the magnet won't work, the mini bail handle makes it easy to hang. When you're on the go, simply switch to flashlight mode and you can take bright light with you anywhere. 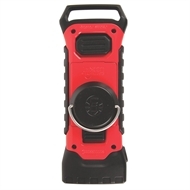 Its rugged exterior protects against impacts from falls of up to two meters. 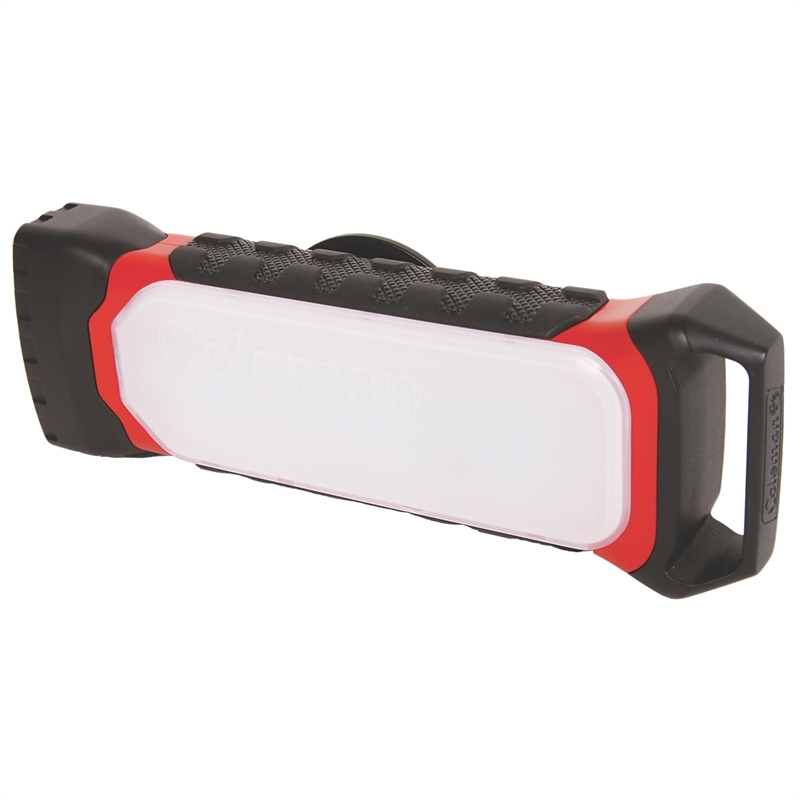 That's twice the impact resistance of most other lights. 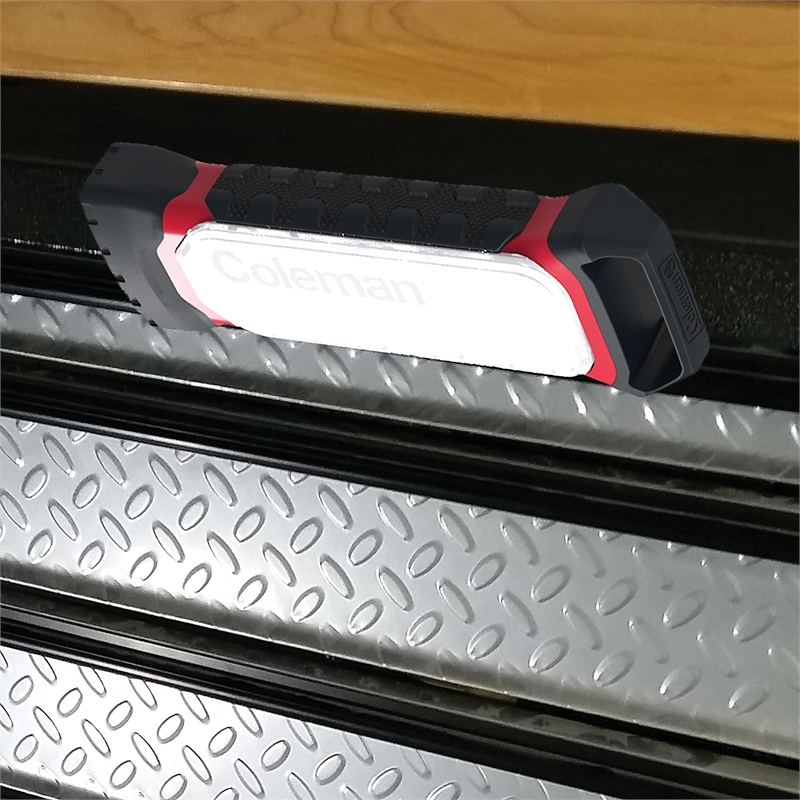 In addition to its exterior protection, the interior of your light is also protected by the BatteryLock™ system, which stops battery drain. 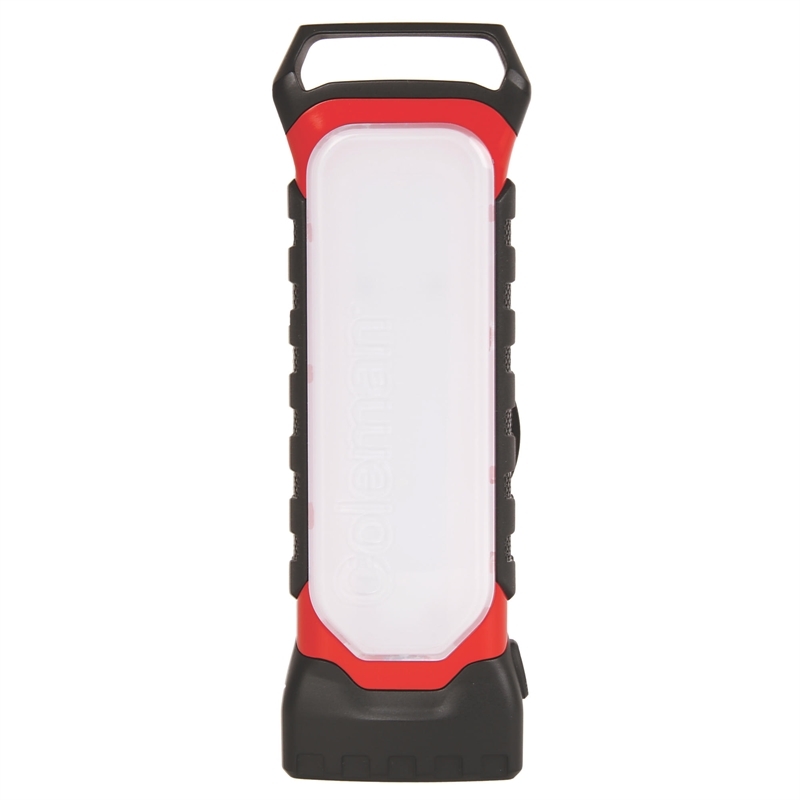 On a normal light, there is typically some residual drain as long as the battery is connected in the circuit, even when the light is off. By simply sliding the top switch, you can completely disengage your batteries, so they can be stored in your light for years (up to their inherent shelf life). 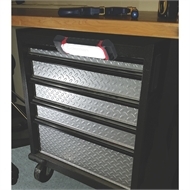 You’ll also reduce the toxic corrosion that can damage your light. No matter how many ways you use it, you'll know you can trust this light in any situation for years to come.